12. Jaric, I., Heger, T., Castro Monzon, F., Jeschke, J.M., Kowarik, I., McConkey, K.R., Pysek, P., Sagouis, A. and Essl, F. (2019). 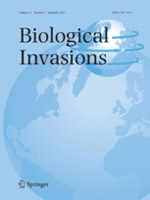 Crypticity in biological invasions. Trends in Ecology and Evolution 34(4), 291-302. 11. Castaneda, I., Bellard, C., Jaric, I., Pisanu, B., Chapuis, J.L. and Bonnaud, E. (2019). Trophic patterns and home range size of two generalist urban carnivores: a review. 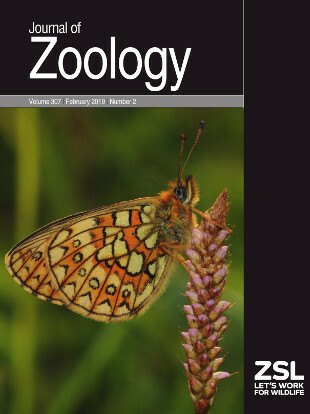 Journal of Zoology 307(2), 79-92. 10. Jaric, I., Bronzi, P., Cvijanovic, G., Lenhardt, M., Smederevac-Lalic, M. and Gessner, J. (2019). Paddlefish (Polyodon spathula) in Europe: an aquaculture species and a potential invader. Journal of Applied Ichthyology 35(1), 267-274. 9. Jacimovic, M., Lenhardt, M., Krpo-Cetkovic, J., Jaric, I., Gacic, Z. and Hegedis, A. (2019). Boom-bust like dynamics of invasive black bulhead (Ameiurus melas) in Lake Sava (Serbia). 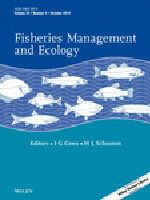 Fisheries Management and Ecology 26(2), 153-164. 8. 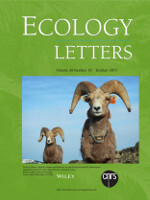 Strayer, D.L., D'Antonio, C.M., Essl, F., Fowler, M.S., Geist, J., Hilt, S., Jaric, I., Johnk, K., Jones, C.G., Lambin, X., Latzka, A.W., Pergl, J., Pysek, P., Robertson, P., von Schmalensee, M., Stefansson, R.A., Wright, J. and Jeschke, J.M. (2017). Boom-bust dynamics in biological invasions: towards an improved application of the concept. Ecology Letters 20(10), 1337-1350. 7. Jaric, I., Jacimovic, M., Cvijanovic, G., Knezevic-Jaric, J. and Lenhardt, M. (2015). Demographic flexibility influences colonization success: profiling invasive fish species in the Danube River by the use of population models. Biological Invasions 17, 219-229. 6. Skoric, S., Cvijanovic, G., Kohlmann, K., Hegedis, A., Jaric, I. and Lenhardt, M. (2013). First record of a hybrid striped bass (Morone saxatilis x Morone chrysops) in the Danube River. 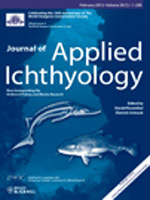 Journal of Applied Ichthyology 29, 668-670. 5. Jaric, I. and Cvijanovic, G. (2012). The Tens Rule in invasion biology – measure of a true impact or of our lack of knowledge and understanding? 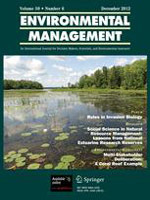 Environmental Management 50, 979-981. 4. Jaric, I., Cvijanovic, G., Hegedis, A. and Lenhardt, M. (2012). Assessing the range of newly established invasive species in rivers using probabilistic methods. 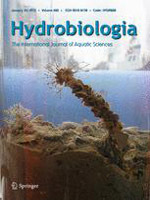 Hydrobiologia 680, 171-178. 3. Cvijanovic, G., Cvijanovic, M., Jaric, I. and Lenhardt, M. (2012). Use of shape analysis in the investigation of disputable meristic characters for Ameiurus melas (Rafinesque, 1820) and Ameiurus nebulosus (Lesueur, 1819). 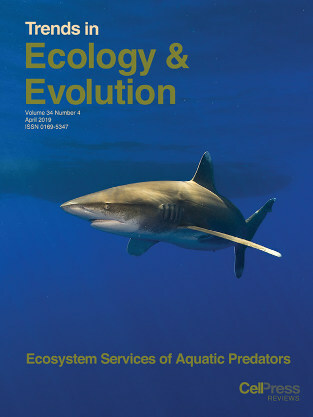 Journal of Applied Ichthyology 28, 617-622. 2. Hegedis, A., Lenhardt, M., Mickovic, B., Cvijanovic, G., Jaric, I. and Gacic, Z. (2007). Amur sleeper (Perccottus glenii Dubowski, 1877) spreading in the Danube River Basin. Journal of Applied Ichthyology 23, 705-706. 1. Lenhardt, M., Hegedis, A., Mickovic, B., Visnjic Jeftic, Z., Smederevac, M., Jaric, I., Cvijanovic, G. and Gacic, Z. (2006). First record of the North American paddlefish (Polyodon spathula Walbaum, 1792) in the Serbian part of the Danube River. 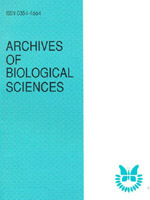 Archives of Biological Sciences 58 (3), 27P-28P.